T-Square Company has been successfully remodeling kitchens and bathrooms in Austin for over 30 years. So just what is involved with kitchen upgrades and bathroom remodeling in Austin, Texas while Austin homeowners are constantly looking for ways to bring their existing older home's kitchens and bathrooms up to date? 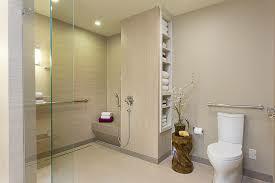 Bathroom remodels for any smaller baths can incorporate a number of items to fit any budget. Larger kitchens and bathrooms lend themselves to more extravagant designs. Using beautiful stone or ceramic tiles in an interesting design, installing new plumbing fixtures, upgrading the cabinet tops and the use of neutral colors can create a kitchen or bathroom with a "wow" factor. It is quite possible to produce a small but charmingly remodeled kitchen or bath on a budget. A project that is affordable plus the fact that it will add resale value to your home cannot be denied. Check out all the options before committing to a plan and then stick to it. The replacement of for instance the tub with a new walk in shower can create a bold look but will run you around $10,000 in the bath. An Austin kitchen remodel for two hundred square feet will begin at around $50,000. There are no spending limits for bathroom upgrades. You can plan on spending around $12,000 to $15,000 for a hall bath remodel. The price tag can approach or exceed $35,000 for a complete master suite remodel. The type of fixtures and building components chosen along with the labor will compose the overall cost of the remodeling project. Always hire a local and professional builder. Remember that producing change orders because "no one thought of that" become expensive. Create the style for your Austin kitchen or bathroom remodel that best gives you a feeling of pride! Accessible bathrooms incorporating aging in place design today contain stylish vanities set at a universal height of 34 inches with clear knee spaces. The sink faucets are easily controlled by either wrist handles or levers. Toilets are available in comfort heights eliminating the deep knee bend needed for seating. Toilet seats are available with a heat feature and some have the ability to self close or have a night light. Curbless roll in showers are advised for everyone undergoing a bathroom accessibility remodel. 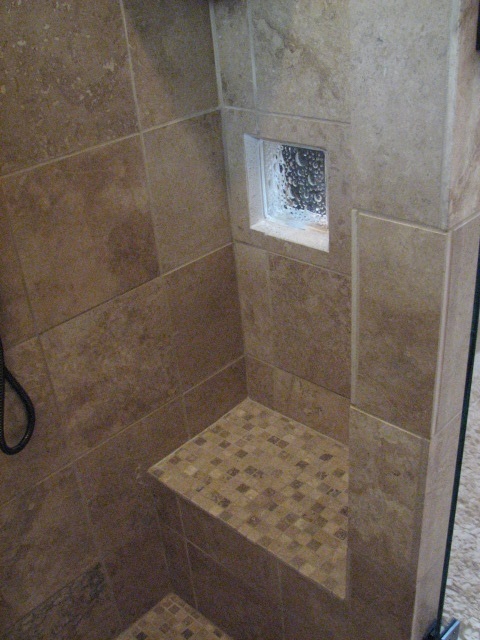 The shower should contain at least a shower wand on a sliding bar for varying heights of use along with a regular shower head and control if desired. Folding seats are useful if caretakers are ever involved. Grab bars around the bath and especially in the shower should be used while non slip floor covering should always be considered. 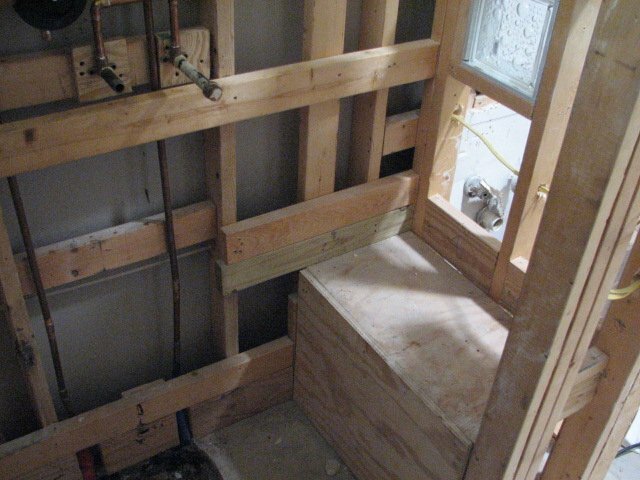 We specialize in Elder construction and increased accessibility. If you have been considering a fine bathroom makeover or bathroom transformation in Austin there are a few things you should take into consideration. Bathroom upgrades in Austin, Texas can take on many looks and facets. The scope of work you choose to accomplish this task should effectively solve your problems and most importantly, your needs as the home owner-- for now and for the future. The identification of these specific needs belongs to you the home owner. The way your home is structurally altered to accomplish these needs is the job of the professional remodeling contractor. Aging in place and accessibility should be a concern no matter what your age. If your concerns are not for you, barring any life changing accident, they could concern the accessibility of another generation's independence is using the bathroom. A CAPS professional in the remodeling industry can help with solutions in solving these issues while performing design/build home modifications. T-Square Company is a nationally registered CAPS remodeling contractor. When you are replacing your old cabinets during a kitchen remodel with some new fine cabinetry or perhaps you are just needing an updated work surface there are a few choices that need to be considered before making your final decision. Plastic laminates, solid surface material, granite, quartz, stainless steel, wood, and concrete are the most popular choices today when considering new or replacement counter tops for a fine kitchen upgrade. Each surface has it's own set of pros and cons to take under advisement before a conclusion is reached making sure your selection blends with your lifestyle. Remember that any samples of materials you see are only small representations of any larger piece when choosing products. Furthermore trivets and cutting boards should always be used no matter which top you choose. 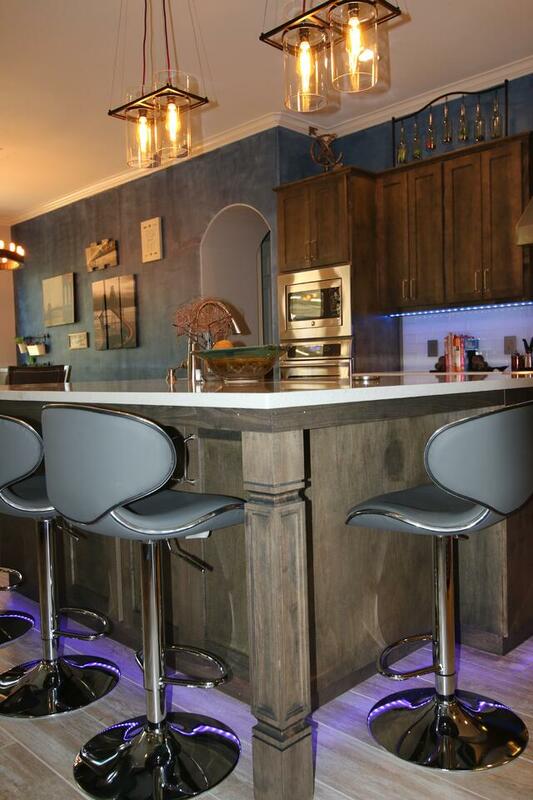 Kitchen remodeling in Austin, Texas is no different than anywhere else in the country. Kitchen upgrades and bathroom remodels return the most money at resale on the initial investment of the remodeling project. National averages show that kitchen remodels recoup around 70% of the costs of the upgrade at the time of resale. However, your kitchen remodeling costs should never exceed 15% of the total value of your home. Here is where you need to get your thinking cap on and plan for an affordable budget that is within your means. Your material choices are very important and if you need to stay mid-level to fit the budget then do so. The labor involved for the project will be around 1.6 times the cost of the materials used. The total budget should allow $100 per square foot for your kitchen upgrade project. Finding help to remodel a home can be time consuming and should be undertaken only by those builders possessing a wide array of remodeling experience. All builders certainly are not remodeling contractors. The finale of new construction is by far more foreseen because of the known and predictable path the work schedule will follow. During remodeling, first there is the demolition work and the costs involved to dismantle a certain existing area in your home prior to beginning the construction of a new project. Knowing the best way to accomplish this aspect is why you need to hire a remodeling contractor. This type of building professional will base his results on his capability of blending any new work done within the home with the existing design and elevations. The expenses of this new construction represent the second set of costs involved for any residential remodeling project. Along with Aging in Place, Universal Design is becoming more of a household term when it comes to a kitchen or bathroom remodel. Essentially, it’s about building or modifying places and spaces—both public and private—to accommodate people of all ages and abilities. More than just an architectural concept, universal design is a win-win for sandwich generation boomers caring for aging parents and their children at home, for grandparents raising grandchildren and great-grandchildren, and for all who are facing the challenges of caring for a loved one with Alzheimer’s or other chronic diseases. Whether your family needs the support now or down the road, universal design features are a good long-term investment for the home itself. Whatever your situation please remember to rely on the experiences of a local building professional. Check out their credentials and references and don't limit yourself to only price checks against other bidders. Don't make the mistake of letting a cabinet making subcontractor or tile installer play the part of a general contractor. Their knowledge will be limited to that of the cabinets or tile and not much else. More importance needs to be given to the reputable contractor's personality and knowledge and how well you two communicate. You are making your choice for a professional to lead the way enabling your dream to be realized. You get what you pay for with proper planning when using an experienced and qualified local contractor. T-Square Company can be reached at 512-444-0097 in Austin, Texas. 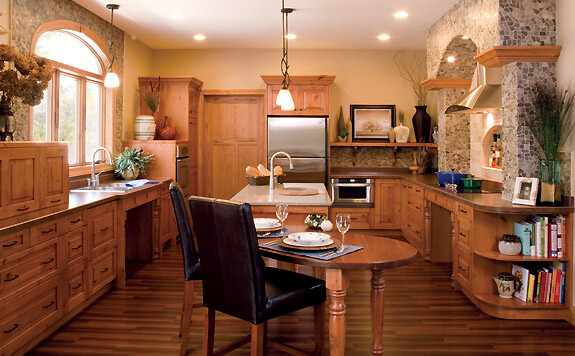 Find out how a design/build remodeling contractor can save you money during your next project. Universal design refers to broad-spectrum ideas meant to produce buildings, products and environments that are inherently accessible to older people, people without disabilities and people with disabilities. Universal Design adaptations have a broad market appeal to everyone for achieving ease of use, safety, and convenience accommodating a certain reality. The reality is that all people exist along a continuum of human performance as per their personal traits and characteristics regardless of their age. A universal approach to design takes into account that everyone has varying degrees of ability and disability rather than someone is either fully-functional or disabled. A universal design approach is appealing to all users no matter their age, size, or physical well being. Universal Design is important because our current design standards for housing do not address the design needs of more than one third of our population. Too often the designers of homes allow the built environment to define the capabilities of the resident. Universal Design allows for our antiquated architecture to be defined by both our changing human needs and abilities. There are seven criteria or principles which must be met to be considered a universal design no matter which area of the home you are referring to. Any design must be equally useful to everyone, have flexibility in it's usefulness, be simple and intuitive, be perceived by everyone, have a tolerance for error, require little physical effort, and it must maintain an adequate area for approach and use. Any complexity or discriminating attribute to a design will doom it in terms of being considered universal in nature. However what better way can you improve on a home's total visitability by everyone? Universal Design is the design of products and environments to be usable by all people, to the greatest extent possible, without the need for adaptation or specialized design. Whether you refer to this revolution in housing today as accessible design, inclusive design, or universal design it is all about making a home safe, attractive, and easy to use for all of the inhabitants. It has nothing to do with the age, agility, or status of life for anyone living within the home. The main intent of this way of thinking is to be sure the inhabitants are able to enjoy their home throughout their entire lifetime utilizing the universal design principles which have been designed into their home when it was built. This way aging in place can be accomplished without the expense and hassle of having to make periodic changes to the home to meet a person's ever changing physical needs. You can plan for all stages of your life cycle with some fore thought which, once discovered, you find is just common sense. Even if you are in perfect health you can be disrupted by a minor mishap. A more serious injury can change things forever when you no longer have all your abilities. Universal Design principles do not equate to accessibility design even though they both are concerned with ergonomics and human function issues. The ADA guidelines for accessibility were created as a means to help those people with extreme disabilities within our society who are a narrow and specific cross section of the masses. A UD approach broadly takes into account moderate impairments or disabilities, temporary health conditions, and the varying abilities of anyone within a home regardless of their age or size. 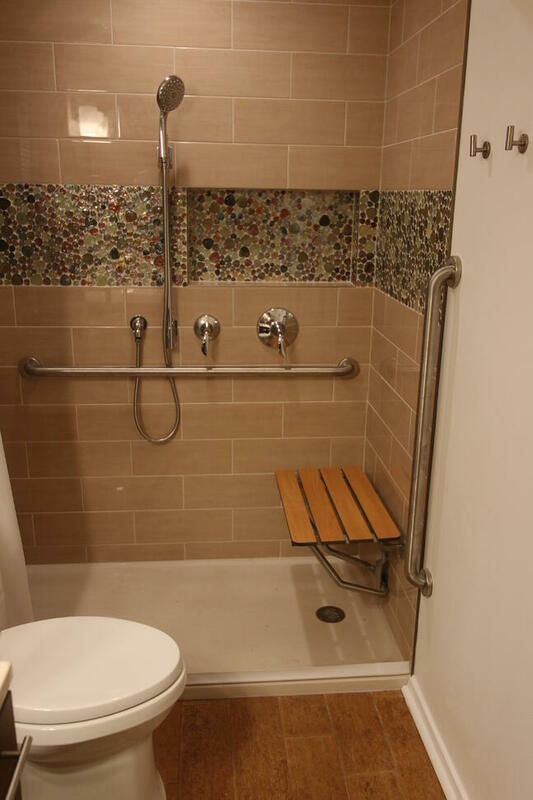 In other words, an ADA accessible home would be designed for the one person with the disability whereas a UD home is designed for everyone and should be used with any custom tub shower conversion. Accessibility should be a concern no matter what your age. If your concerns are not for you, barring any life changing accident, they could concern the accessibility and safety of another generation's independence. As we age, our society is beginning to realize that our homes need to accommodate future life changes. The aging in place phenomena deals with home modifications to existing homes while a universal design home would hardly ever need to address these abrupt issues even though we cannot solve all the future issues for everyone. Everyone ages differently and has their own list of specific needs. Universal design ideas do not strictly deal with accessibility or aging in place design and does not implement precise ADA standards but it does offer flexibility to add accessories now and later to those planning ahead or to the end user. It also provides for a wide range of human performance characteristics for the way people use spaces within their homes including well integrated usability features. These adaptations have a broad market appeal to everyone for achieving ease of use, safety, and convenience accommodating a certain reality. That reality is that all people exist along a continuum of human performance as per their personal traits and characteristics regardless of their age. A universal approach to design takes into account that everyone has varying degrees of ability and disability rather than someone is either fully-functional or disabled. A universal design build project is appealing to all users. 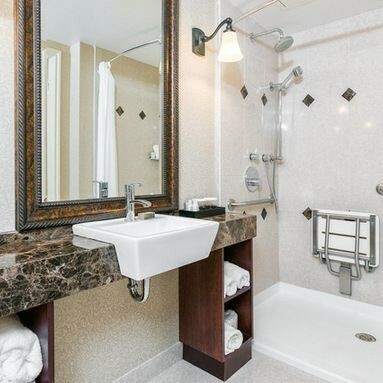 Accessible bathrooms incorporating aging in place design today contain stylish vanities set at a universal height of 34 inches with clear knee spaces. The sink faucets are easily controlled by either wrist handles or levers. Toilets are available in comfort heights eliminating the deep knee bend needed for seating. Toilet seats are available with a heat feature and some have the ability to self close or have a night light. 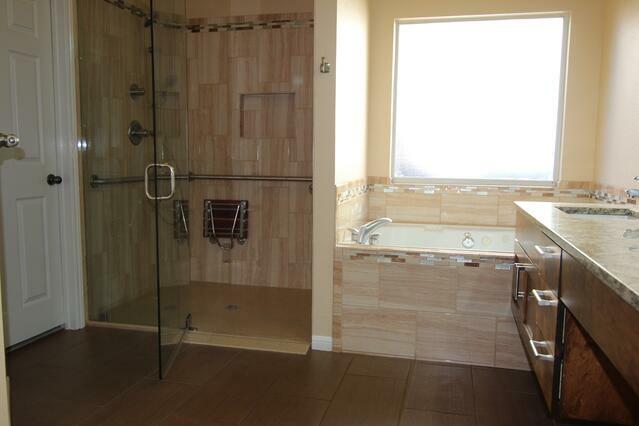 Curbless roll in showers are advised for everyone undergoing a bathroom accessibility remodel. 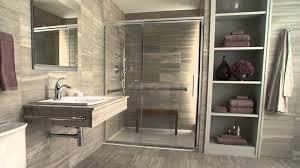 The shower should contain at least a shower wand on a sliding bar for varying heights of use along with a regular shower head and control if desired. Folding seats are useful if caretakers are ever involved. Grab bars around the bath and especially in the shower should be used while non slip floor covering should always be considered. Universal Design does not strictly deal with accessibility and does not implement precise ADA standards but it does offer flexibility to add accessories now and later to those planning ahead or to the end user. Universal Design principles are about building and remodeling living environments that conform and adapt with the needs and abilities of the occupants throughout their lives. It also provides for a wide range of human performance characteristics for the way people use spaces within their homes including well integrated usability features. These adaptations have a broad market appeal to everyone for achieving ease of use, safety, and convenience accommodating a certain reality. The reality is that all people exist along a continuum of human performance as per their personal traits and characteristics regardless of their age. A universal approach to design takes into account that everyone has varying degrees of ability and disability rather than someone is either fully-functional or disabled. A universal design approach is appealing to all users no matter their age, size, or physical well being. Universal Design is important because our current design standards for housing do not address the design needs of more than one third of our population. Too often the designers of homes allow the built environment to define the capabilities of the resident. Universal Design allows for our antiquated architecture to be defined by both our changing human needs and abilities. Universal design refers to broad-spectrum ideas meant to produce buildings, products and environments that are inherently accessible to older people, people without disabilities and people with disabilities. There are seven criteria which must be met to be considered a universal design no matter which area of the home you are referring to. Any design must be equally useful to everyone, have flexibility in usefulness, be simple and intuitive, be perceived by everyone, have a tolerance for error, require little physical effort, and it must maintain an adequate area for approach and use. Any complexity or discriminating attribute to a design will doom it in terms of being considered universal in nature. The changing makeup of the family has led to the growth of a new architectural science: Universal Design. Simply defined, it is human-centered design that seeks to create environments and products that offer safety and comfort for all people with no need for adaptation or functional changes. The evolution toward Universal Design began in the 1950s with a new attention to design for people with disabilities. Barrier-free design was developed to remove obstacles in the built environment for people with physical disabilities. In this country, multi-generational households are more common today than they were even 10 years ago, due in part to the recent recession. Planning ahead for the possibility of such a reality, if you are building or remodeling, is worth a bit of time and effort. Homes that incorporate universal design principles are not only perfectly suited for the needs of an aging population, but are also appropriate for families with young children. While each ind­ividual will have different needs and wants, there are many ways to make homes more user-friendly or accessible. Having the ability to enter the home from the outdoors is one of the first steps to enjoying a home. Once inside, the overall layout of the home can make a significant impact on the convenience and usability of the home. Universal design principles recommend a bedroom, kitchen, entertainment area and a full bathroom on the main floor. Finding a professional with the expertise to design, build or remodel a home to be handicap accessible might seem overwhelming. One place to start is by looking through the selection of Certified Aging-In-Place Specialists. This designation program, offered through the National Association of Home Builders, incorporates components of assessment, technical knowledge and management skills related to home modifications that will allow people to stay in their own homes safely and independently for a longer amount of time. There are seven criteria which must be met to be considered a universal design no matter which area of the home you are referring to. Any design must be equally useful to everyone, have flexibility in it's usefulness, be simple and intuitive, be perceived by everyone, have a tolerance for error, require little physical effort, and it must maintain an adequate area for approach and use. Any complexity or discriminating attribute to a design will doom it in terms of being considered universal in nature. However what better way can you improve on a home's total visitability? Universal Design principles involve the design of products and environments to be usable by all people, to the greatest extent possible, without the need for adaptation or specialized design. The National Association of Home Builders, in partnership with the AARP and Home Innovation Research Labs, created the CAPS program, which includes training and education on the technical, business management and customer service skills essential to compete in the fastest growing segment of the residential remodeling industry--home modifications for aging in place. David L. Traut, CAPS owner of T-Square Company in Austin, Texas is one of the select group of professionals nationwide to earn the Certified Aging-In-Place Specialist (CAPS) designation, identifying him as a home remodeler and builder with the skills and knowledge necessary to remodel or modify a home to meet the unique needs of the older population, disabled owners, or their visitors. We offer and incorporate universal design in all our remodeling projects to limit the expense and hassle of periodically adapting your home to your ever changing needs. There are seven criteria which must be met to be considered a universal design no matter which area of the home you are referring to. Any design must be equally useful to everyone, have flexibility in it's usefulness, be simple and intuitive, be perceived by everyone, have a tolerance for error, require little physical effort, and it must maintain an adequate area for approach and use. Any complexity or discriminating attribute to a design will doom it in terms of being considered universal in nature. However what better way can you improve on a home's total visitability? Universal Design is the design of products and environments to be usable by all people, to the greatest extent possible, without the need for adaptation or specialized design.